“The ‘official’ 9/11 Commission Report is at once ridiculous and absurd, ludicrous and laughable, preposterous and nonsensical. Anyone who doubts this statement is usually unaware of the U.S. Federal Government’s complicity in the 9/11 false flag operation. They do not know the facts and have made no serious effort to understand the truth about the 9/11 terror attacks on America. For the unaware and uninitiated the ‘official’ US Government 9/11 narrative contains numerous explanations which have been proven to be scientifically impossible. Furthermore, much of what has not been declared impossible falls squarely within the realm of the highly implausible, extremely improbable and totally unreasonable. The real rub here is that US taxpayers funded the 9/11 Commission Report. In other words millions of tax dollars were paid to produce a patently false and fraudulent report the purpose of which was to deceive the American people. 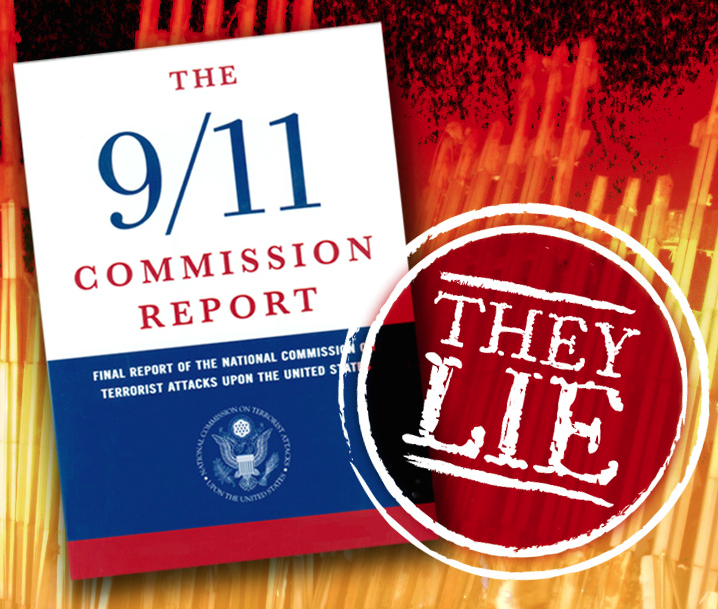 The primary objective behind the Commission Report was to reinforce the government’s deliberate falsehoods around every aspect of the 9/11 false flag operation. In this way, the public was tricked into believing a story so farfetched, so bizarre and so fantastic that …. The US Federal Government is notorious for floating some of the most ridiculous conspiracy theories ever advanced in modern history. However, their 9/11 tall tale is much taller than the Twin Towers which the US Federal Government brought down by way of controlled demolitions. Which is exactly why the 9/11 Commission Report was even published — to provide cover for the true perpetrators, as well as to cover up the greatest crime ever committed against US citizens on American soil … by its own government. However, the main pillars of the government’s storyline are now about to collapse, just as the Twin Towers did on 9/11.